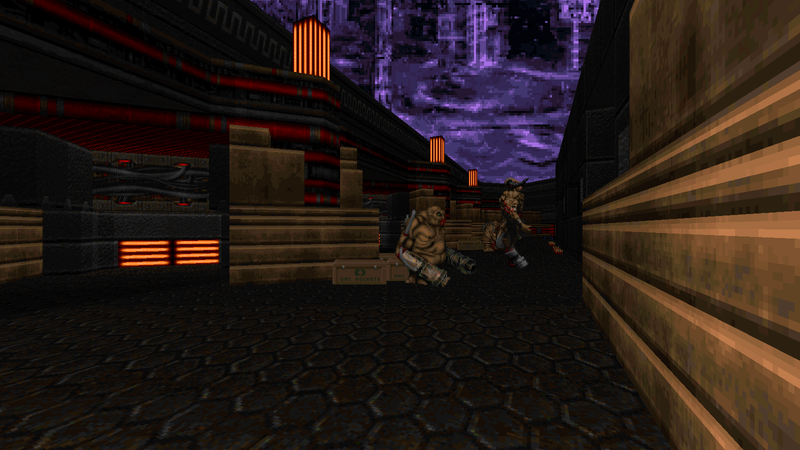 Back to Saturn X is a Vanilla-compatible multi-part ultra-wad™. 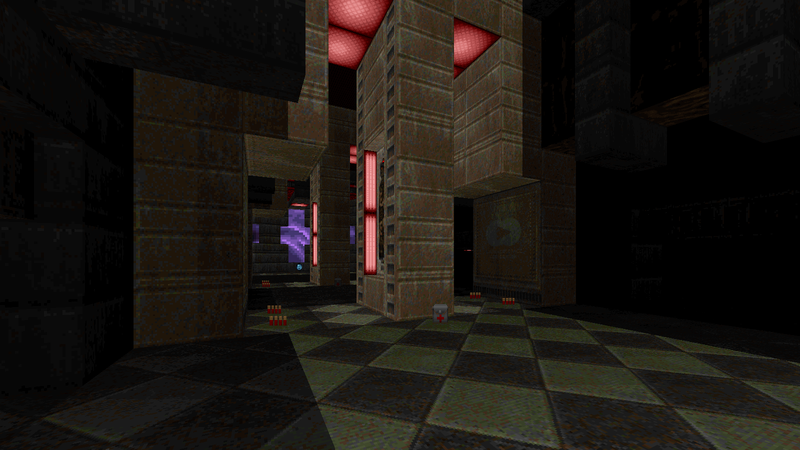 The map set will consists of three separate episodes, each varying in theme and difficulty. 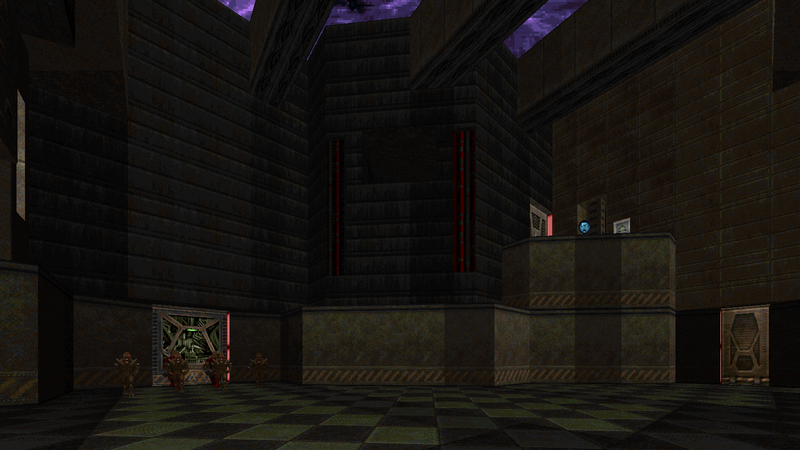 The project is being spearheaded by esselfortium and has numerous, hand-picked contributors from all across the Doom community. 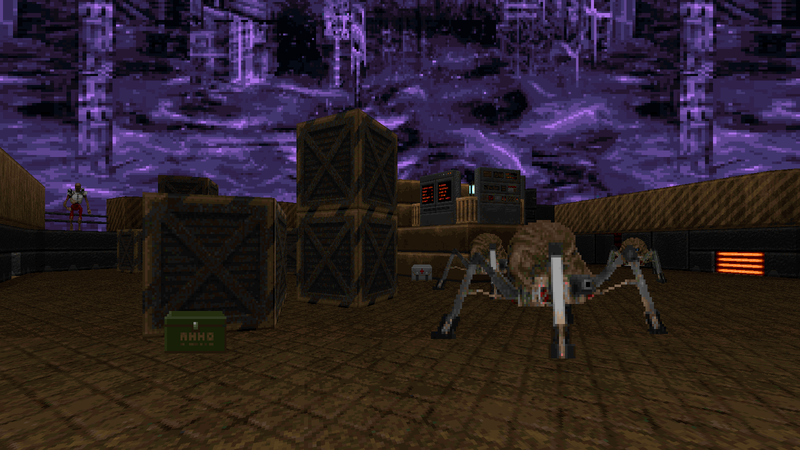 The project uses an entirely brand-new texture set created almost entirely by esselfortium; it is not using any stock vanilla texture resources of any kind. 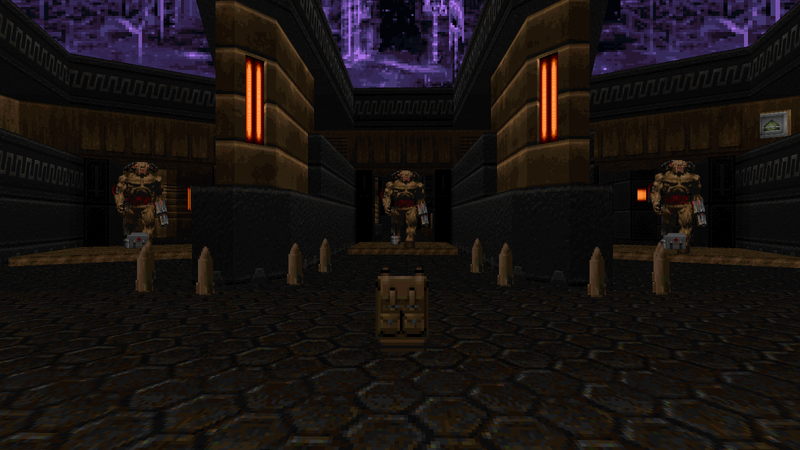 There are Doom 64, Quake, Alien Vendetta, and Plutonia influences both in the new texture set and in the style of maps being created. In addition to new maps and new textures, there are also numerous new graphics and new music coming from many skilled members of the community. Episode 3: Instructions to the Rusty Time Machine, is the third episode in the BtsX project. Is it the final episode? I don’t know man, don’t ask me…but maybe not . Anywho, E3 is yet to be released to the public in any form. I don’t have a date as to when it will release, but my sources have told me that it will release in eleventy-billion years from now. So far I have contributed 2 maps to Episode 3 – Miles Under the Skin and a secret map entitled Gold Star for Robot Boy. The map slots are not finalized yet, that I know. But Gold Star for Robot Boy will almost certainly be one of the secret maps. I may get a chance to do a 3rd map and/or possibly co-author another map later on. I’m not going to discuss my submissions as of yet. You’ll just have to wait until the project is released! Check out the Episode 1 and Episode 2 pages as well! These definitely look promising. I love how it’s back to the textures I fell in love with in the first episode. I don’t know what it was about Episode II, but it just seemed… really, really, REALLY depressing (although there were a couple maps I really liked, such as the last one before the “to be continued” map)… plus the maps were very hard to navigate (it seemed as though some of these were complex puzzles with too many buttons/switches). That experience really killed it for me. But, as I’ve said before… now it looks like its being reverted back to the E1 theme… and I’m really happy about that! 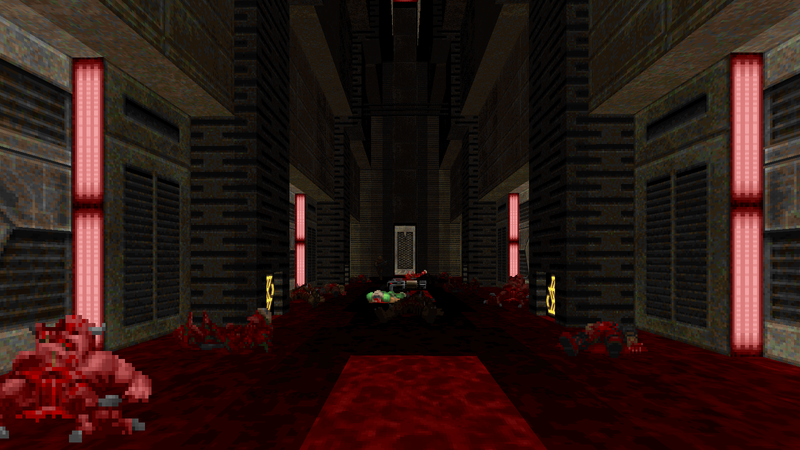 You’ll probably see a lot more of this kind of stuff in E3; from what I’ve seen of the other maps, they are more colorful, weird, and interesting. But we’re probably going to be looking at another bump in difficulty too. Awesomeness! Looking forward to it! Esselfortium, the guy behind the entire project, is a fan of a band called “Guided by Voices”. They’ve released a massive number of songs, and each song usually has a wacky or interesting name. I’m not sure exactly how it started, but maybe because the project was initially called “Back to Saturn X” (a Guided by Voices song title), essel decided to make it a running thing and have all of the map names and episode titles come from Guided by Voices song titles as well. It worked out well enough because there were hundreds of song titles to choose from, some of which work perfectly for map titles (while others are kind of off-the-wall weird, but eventually pretty enduring after the release). In fact there were so many potential map titles too choose from, it was a bit overwhelming to pick one (for me anyways). This was interesting from a design perspective for at least one of my maps, where I took a song title and designed a map around it. Some detailing and theming of my bare layouts were inspired by the song titles to an extent as well (ie. for Shocker in Gloomtown, I tried to add some subtle town-like elements). 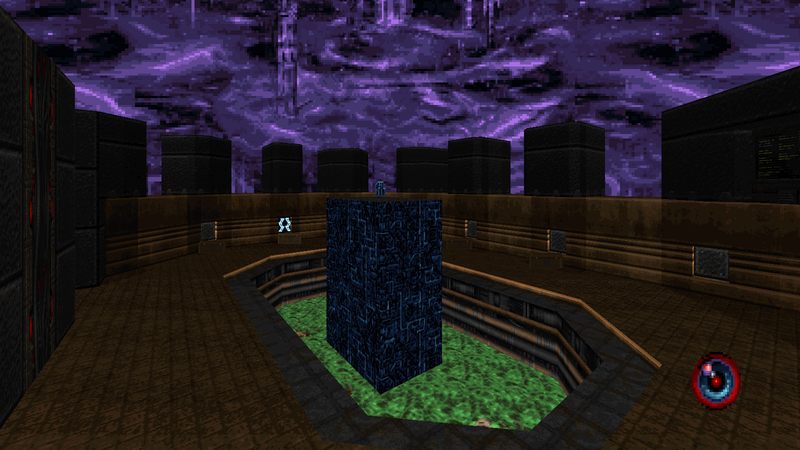 One more question… is there a way I can get in on beta-testing any of the maps? No idea, sorry . You can get in contact with esselfortium and see what he says. Fantastic looking maps, can’t wait to play them! Do you have any idea of the current state of episode 3? I guess a release is coming this year, but the ep2 page hasn’t been updated in a while and that one is still in Beta (although it is effectively finished). I guess you probably won’t be able to say much, but it would be great to know of the team are still working on episode 3! Thanks man, glad you like them! I hope they play well, but we’ll have to wait and see. Yea about the E3 release, I’m not sure. I’m thinking the focus right now is to get a stable, ‘complete’ E1 released first, but I could be wrong. E1 is basically done except for a few minor things, but I don’t really keep up with all of the behind-the-scene details (eg. I think there might be new maps + some maps might be getting updated or redone). My guess at this point is that you’ll see an updated E2 released before you see E3. There’s still more maps and work to be done on E3 compared to what’s left on E2 (from what I gather). A 2016 release for E3 doesn’t seem too unlikely though; so yea, it could happen! How’s production coming along for the project? Not much going on, at least from my perspective. I think a lot of the dev talk takes place in IRC these days, and I don’t generally hang around IRC much. I do think its being worked on though, albeit slowly. ok… so, when it’s going to release? I dunno, but hopefully soon! I don’t stay in contact with essel and the rest of the team like I should (I’m allergic to IRC), but essel made a post recently where she said that she’s hoping to get E1 out sometime this coming year (2017). Also she’s hoping to get another version of E2 out around the same time, I think. That’s not exactly E3 news, I know :P. But she is also hoping to get a build of E3 out by the end of 2017 as well, which is awesome! I think she’s working on a set of some new textures for E3, which is a good sign that it’s actively being worked on. My contributions to the project are pretty much done at this point, at least as far as the three episodes go. I’ve heard rumblings of a fabled 4th episode a few times though, so that may or may not be a thing. BOTH episodes are better than the originals if you ask me. Wait a sec… so E1 and E2 actually aren’t done yet? Both E1 and E2 have been released as betas, but they aren’t final releases. So they are done enough for a public release, but they aren’t final. Well, that was until recently; E1 was uploaded to /idgames a few weeks ago, so its pretty much done at this point. how do play back to the saturn on gddoom? I’m not sure I can be of much help without some more info. 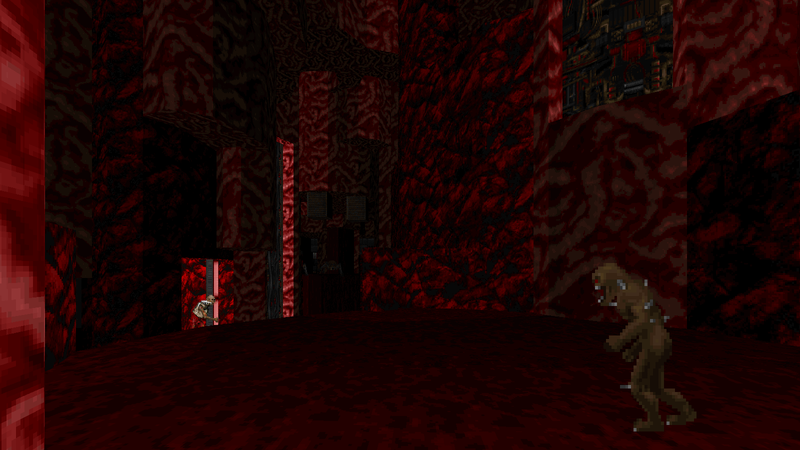 The easiest way is to drag the .wad files onto the GZDoom executable though. BtS E3 is like a Scythe X, never gonna be released. More than 8 years of faith in the release or a clue about the Scythe X and anything Erik’s answer. My english is bad, but even if, i can’t find something about the BtS E3 progress. This map is still in developing? … but will this be the year? after all the waiting? Nothing to report from me I’m afraid, sorry! Hi there! Here’s some updates! Look, up in the sky, its Updates!